When you are operating a large combine, spreader or irrigator it is important to know where you are in the field. Today’s farmer is also an electronics technician who uses GPS driven touch screens to evaluate sowing density and estimate fertilizer and other needs to help increase crop yields. These interactive touch screen devices have varying software options to help with steering guidance, flow, application control and crop management. On a 4,000 acre farm in South New Jersey, the owners rely on electronic equipment from John Deere, Ag Leader and Trimble to help reduce costs and maximize profit. 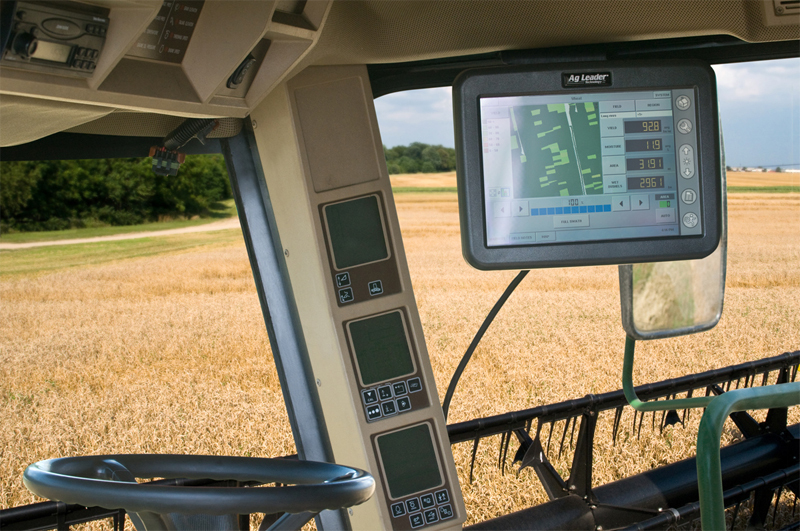 Each piece of their large equipment is equipped with an electronic device that tells them where they are in the field, where the different seeds are planted and the crop yield during harvesting. However, all this information is rendered useless when strong sun glare is coming through the cab window and the operator can’t read the display. 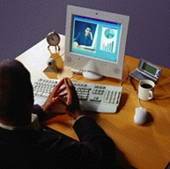 The glare bouncing off the display into the eyes also causes headaches. Wearing polarized sunglasses is not an option because the they cancel out the light from the display. 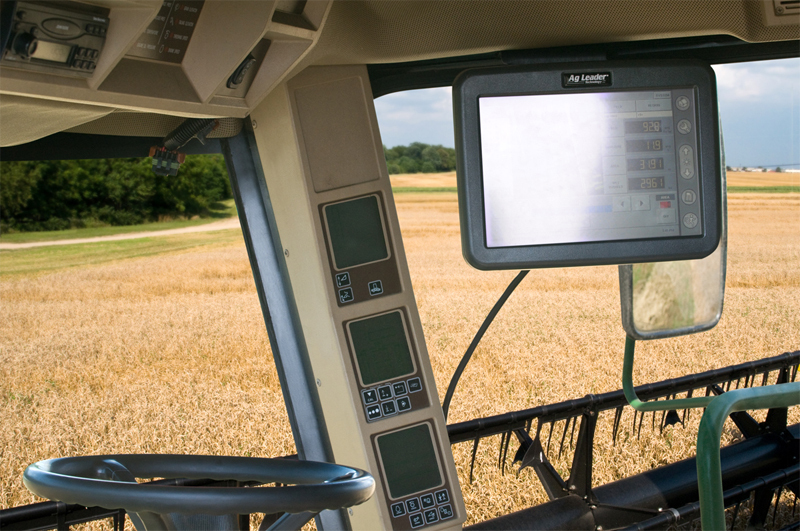 Although the devices can be tilted physically, it is inefficient to manipulate the display every time the equipment makes a turn and the sun hits the cab from a different direction. Also, the sun moves during the course of the day, causing reflections off things like ladders and railings, as well as the operator’s clothing. At times it can be impossible to see the display screen. This is why equipment manufacturers and device users turned to NuShield™ and its high-quality screen protectors to provide a solution to this sun glare issue. The DayVue™ antireflective screen protection film is the ideal solution to this problem and has been proven effective in practice. The screen protection film is placed over the surface of the LCD display and virtually eliminates indirect sun glare bouncing off the screen. The properties of the screen protection film also eliminate 99% of the UV-B rays, thereby reducing eye strain and headaches. We took a picture of the display without screen protection. As you can see, it was impossible to view the display. Then we placed a NuShield DayVue™ screen protection film on the right half of the display, which drastically cut down the glare on that side of the screen. Lastly, we placed a screen protection film over the entire display area which eliminated the glare almost completely. It is important to note that even the DayVue™ screen protection film is overwhelmed when the sun shines directly on the display. 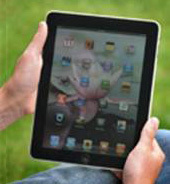 The screen protector has a very low tack adhesive rubber backing which holds it on the screen. This allows for easy installation on flat LCD surfaces and easy adjustment if necessary. It took us less than 5 minutes to install the film and push out the larger bubbles. It might take up to 24 hours for the tiny bubbles to dissipate. The DayVue™ screen protection film is made of a super thin, durable plastic manufactured using a patented technology that provides extended protection against dust, scratches and gouges. It is the only screen protector film of its kind that combines antireflective technology and superior scratch resistance. Dust and dirt and smudges can be easily cleaned off the DayVue film’s oil resistant coating. The technology of the DayVue™ screen protection film also provides brightness enhancement, high contrast, high durability and high visibility that improve viewing angles. The superb antireflective effect makes the LCD screen easy to see and can be wiped clean with a damp cloth without degrading the film’s properties. DayVue™ has been tested in the harshest environments without losing its protective and antireflective qualities.